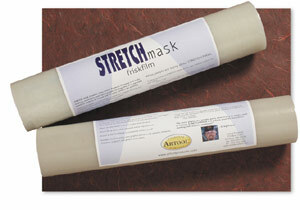 Stretchmask is a multi-medium, stretchable and flexible repositionable masking film. It is especially suited to conform to curved and irregular surfaces such as motorcycle tanks, helmets and automotive shapes for painting. It is clear, thin film that cuts very easily with any brand of art knife or single-edged razor and can be effortlessly manipulated and repositioned with your artwork always in view. available in 18" x 10 yds. Solvent proof - Can be used with water-based and solvent-based paints. Matte Frisket Film will accept pencil drawing so masks can be prepared away from your artwork as well as cut in position. 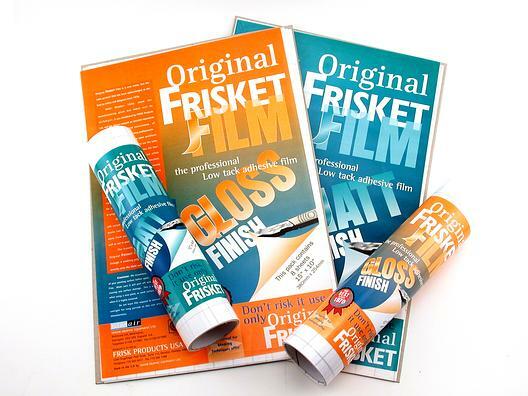 The translucent gridded release paper used on the original Frisk Film is still used, allowing light to come through it, enabling projected images to be traced directly onto the Matt surface.